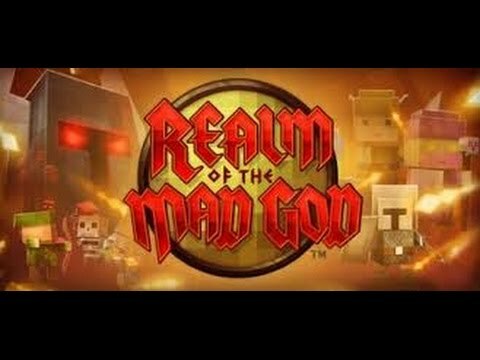 Rotmg Stands for Realm of The Mad God. Rotmg is a online MMO/RPG/Bullet Chaos/ CO-OP. This is my favorite game and is really fun. The goal of the game is to start off with a character and then level up and get better gear, so you can kill Oryx himself, aka the mad god. The gear includes T0 - T12/13 weapons, T0 - T6 abilities, T1 - T12/13 armours, and T1- T6 rings. There are also items called "UTs" which are extremely rare and strong, but they are not tradeable. Rotmg Has a Great community with youtubers, streamers and overall awsome people. Since Rotmg is a semi-small/kinda big game there is a really small community, the tumblr and stuff only have a couple thousand followers. The owners of the game uses the small comunity to there advantage and put aout chalenges, like if they got 2000 followers they would give players rewards etc. There are also events called, "Month of the mad god" which is a special event which take the time of 1 month and the owners gives items, makes mystery boxes, social and game events. All of these benefit the community quite a lot.